Jordan Henderson earned his 50th cap for England on Monday night and Tuesday sees the final international games involving Liverpool players. 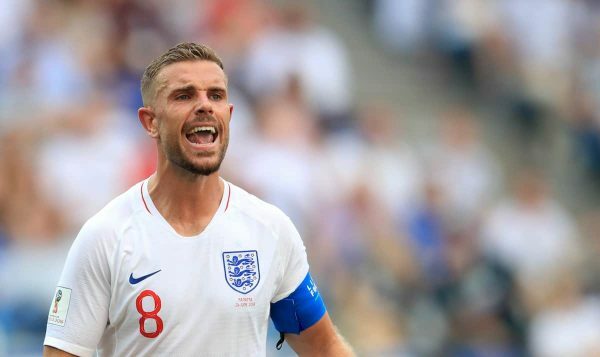 Having started for England in their convincing win over Czech Republic on Friday, the Reds captain was on bench duty for the second Euro 2020 qualifier. Henderson made his entrance after an hour of play against Montenegro, though, clocking up his 50th cap in the process. Attaining such a tally is to be applauded and the 28-year-old can clearly go on to add far more to his collection in the coming seasons. England beat Montenegro 5-1, with Henderson claiming the assist for the fifth and final goal, scored by ex-Red Raheem Sterling, after a well-timed and -weighted pass down the inside right-hand channel. With a number of players having pulled out of international duty through injuries this time around, the Reds haven’t had huge involvement—but a quartet of key players could feature on Tuesday evening, the final batch of games during this international break. First up is Sadio Mane, who will feature for Senegal as they play host to Mali in a friendly on home soil. If he plays, it’ll be his 60th cap with the Lions of Teranga. Later, the Reds’ Brazilian trio are in action in Prague, as Brazil face Czech Republic in another friendly. A much-changed Brazil drew 1-1 against Panama last week, with Roberto Firmino the only member of the three-man contingent to start—he played an hour of that encounter. 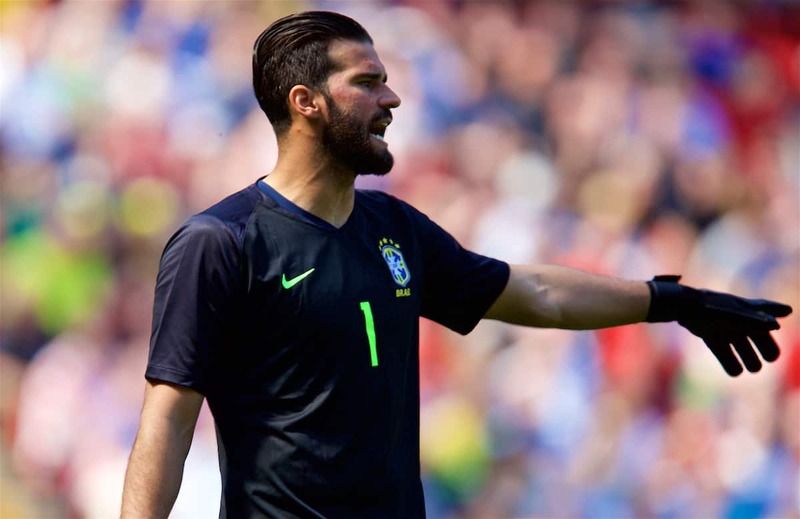 Firmino, then, may not start on Tuesday, but it is likely that Alisson will return in goal. It remains to be seen, however, what role Fabinho plays. He has habitually been a right-back option over the past year for Tite, but was listed in the squad as a midfielder for this call-up. With Casemiro playing against Panama, though, it could be that the Reds’ No. 3 starts in his favoured holding role for his national team tonight. Czech Republic vs. Brazil will be shown on Sky Sports Mix/Sky Sports Premier League for UK TV viewers, with kick-off at 7:45pm. Liverpool could also have a few players in action on the international youth scene on Tuesday. Edvard Tagseth may feature for Norway U19s against Croatia, Rafa Camacho will hope for involvement for Portugal U19s against Scotland and both Neco Williams and Morgan Boyes could play for Wales U19s against Slovenia. All those games are European U19 Championships qualifiers. Ki-Jana Hoever may also feature in the same competition but at U17 level for Netherlands, as they face Czech Republic.